Vinyl is cool again, there’s no denying it. 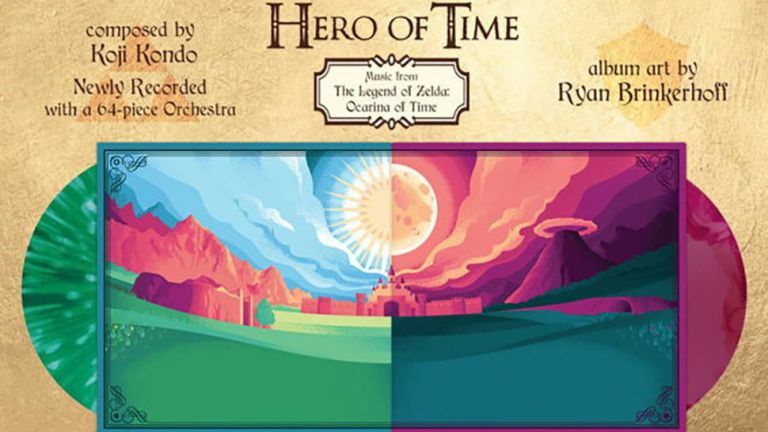 Now one of the most iconic of gaming soundtracks is combining forces with that audio medium to offer an amazing album: The Legend of Zelda: Ocarina of Time on vinyl. This isn’t just a straight lift of the game music to pop it onto the vinyl though, this is fresh. The creators, aim8bit and Materia Collective, have rounded up the 64-piece Slovak National Symphony Orchestra to record the album live. Not only will this have all the in-game delights you remember from the N64 classic but it will also have music arranged and composed by Eric Buchhol that’ll be based on the original Koji Kondo game soundtrack. The Vinyl will come in the very cool packaging artwork seen in the top image with green and purple rupee themed album art from Ryan Brinkerhoff. The album will be available for $40 with pre-orders starting today right here. Shipping is estimated to begin from April 2017. Sales of vinyl in the UK actually surpassed digital album sales earlier this year in a first - so expect more game soundtracks to appear on vinyl soon.